MONDAY, Nov. 28, 2016 (HealthDay News) -- Perhaps there's a black belt in your child's future. But for safety's sake, kids should only engage in noncontact forms of martial arts, a new American Academy of Pediatrics report says. About 6.5 million U.S. children practice martial arts such as mixed martial arts, karate, taekwondo and judo. While these popular sports can improve fitness, motor skills and emotional development, they also carry the risk of injury. Certain disciplines are riskier than others, the pediatricians' group says. "There are so many different types of martial arts for families to consider and enjoy, but such a difference in injury risk between the different non-contact and sparring forms," report author Dr. Chris Koutures said in a news release from the medical group. Koutures is a member of the academy's Executive Committee on Sports Medicine and Fitness. 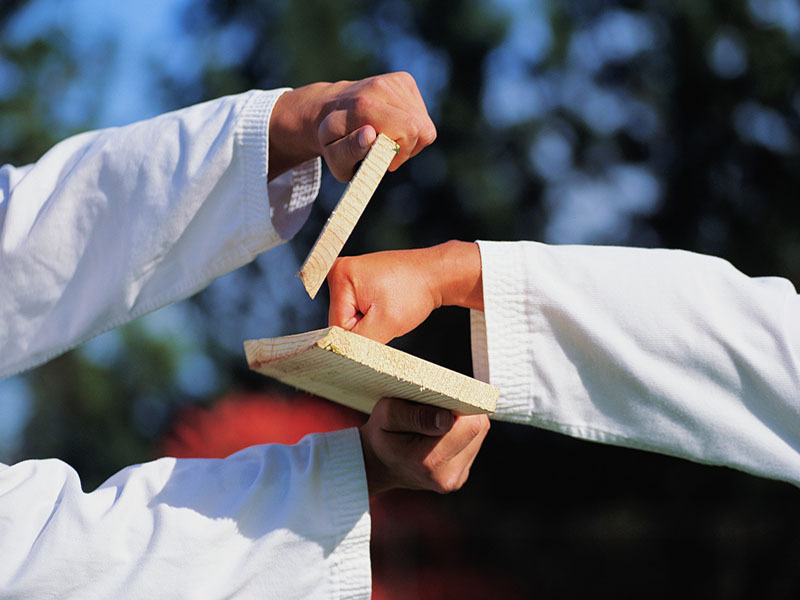 Bruises and sprains account for most martial arts injuries, but more serious injuries also occur. Certain practices in mixed martial arts, for instance, carry a higher risk of concussion, suffocation, spine damage, arterial ruptures or other head and neck injury, the academy notes. These risky movements include direct blows to the head, repetitive head thrusts to the floor and choking movements, the academy says. Injury rates vary from 41 to 133 injuries for every 1,000 athletic exposures, depending on the type of martial art, the report says. With no proof that protective equipment such as soft helmets and mouth and face guards prevent concussions, this gear may provide a false sense of safety, according to the academy. "We hope that this report will enable pediatricians to help families select the most appropriate options for their child and realize how strongly certain practices and rules can impact a participant's safety," Koutures added. The group recommends delaying martial arts competition and contact-based training until children and adolescents show adequate physical and emotional maturity. The report also recommends eliminating a taekwondo rule that awards extra points during tournaments for kicks to the head because these increase the risk of concussion. But mixed martial arts seems most concerning. Even watching too much mixed martial arts may put children at risk of injury if they imitate what they see, the academy says. The report appears online Nov. 28 in the journal Pediatrics.